This volksmarch was a very nice walk along this creek. 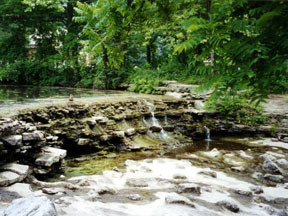 At the end of the creek is a lake area. 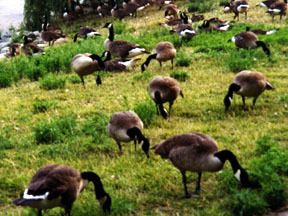 That is where all the geese where. 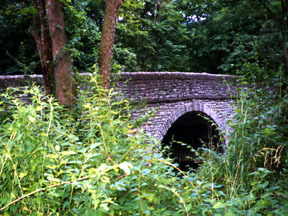 We crossed this nice stone bridge. I checked the 2004 Starting Point and this is not an active YRE. It was a very good walk, maybe it will be a YRE again soon.